How much data have been required to update gdr3 preview..
i felt very nice using lumia 720 good resolution support, but some more apps they have to release..
@Arif goto Music+Videos and see last link in Collection tab. But to unleash this feature you need to update your L720 to the Amber update. The Lumia Amber is available now, if you don't receive it on your Lumia by checking on phone update inside Setting, there maybe something wrong with Nokia/Microsoft. 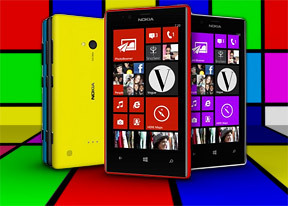 How can i use FM Radio in my Nokia Lumia 720? No doubt that nokia lumia 720 is far better than grand duos.The advantage of grand duos over lumia 720 is it's display size and camera. It comes with 8mp csmera with a huge 5" display. But its poor display quality pulls it back. Else of the features are almost same. 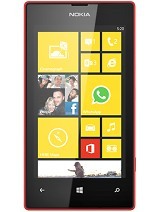 I prefer you lumia 720. I am experiencing a 3G network related problem even before updating to Amber (720). I hope microsoft would make an update that would allow us to choose between 3G only, 2g or 3g(preferred), 2g only, 4g only, and etc. The current setting (base on my observation), only allows us to connect to the strongest network.Hence my phone will always be in 2G.Any one facing the same problem? when lumia 720 get update amber in indonesia...? AnonD-137908, 21 Oct 2013I hav updated to gdr3 nd checked the warrenty status so dnt b afraid of void warrenty jst upda... moreWhat are the new features you received after updating to Gdr3 ??? Does this void my phone's warranty if I update my Lumia 720 with gdr3 using "preview for developer" app??? if anything wrong happens then will nokia care take my problem or they will just say that your you have voided your warranty??? please is any experiencing the file duplicating problem ?? please answer me. Anonymous, 21 Oct 2013why is this phone so problematic?? I'm planning to buy one... :(Not too problematic, if user experiences hang or restart, she/he maybe experiences something wrong with her/his phone or uses under class microSD or something else. The main problem of Windows Phone is the OS itself. Imagine, it is restricted, video is restricted, no file manager, protecting user in order to user download trusted apps from Store only is good idea, but the question is how about the apps are given? Can be as good as Android apps? 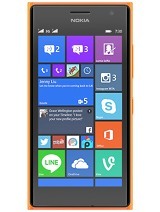 I use Lumia 520, very little app that good. After in GDR3 I don't receive automatically incoming message in WeChat, Skype is the same too. Skype is Microsoft product now, but in fact compared to Skype in Android, Skype Android ia still better. So, the problem the OS itself.